Fire compartment made of aluminum and steel. A strong, uncompromising and more mature masterpiece by engineers from Ingolstadt, — Audi TTS 2016. 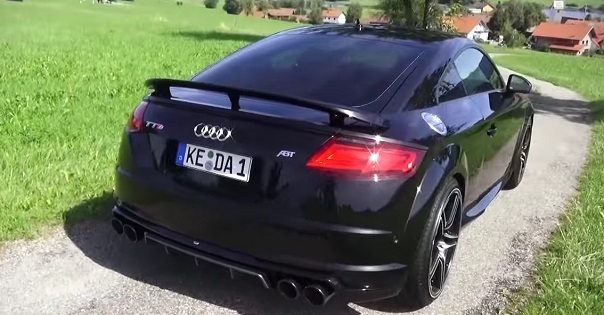 Previous generations of the Audi TT were considered stylish two-door coupe, without any dynamic capabilities. However, the new, third generation of the index 8S body will correct all defects. Some design features reminiscent of a luxury supercar Audi R8, recently presented to the public. Acute fascia truncated headlamps allocated huge hexagonal grille and aggressive forms of the air intake, clearly attract public attention of pedestrians. A more modest profile, is decorated with 19-inch wheels, side mirrors silver and separate the fuel tank flap. All these items are available for modifying the TT index S. Aft design pays tribute to the previous two generations, changing the shape of the headlights and the design of the exhaust system. The latter has two pairs of spaced nozzles. The elegant interior Audi TTS «sharpened» on comfort, functionality and practicality. Behind the truncated D-shaped steering wheel, the aluminum frame is a 12.3-inch on-board computer with processor NVidia Tegra, which also plays the role of the media system. The center console is a series of «jet nozzles» climate control system, which covers the core control unit with digital display. Optionally, you can set audiopreparation from Bang & Olusfen and sunroof. The 2.0-liter power unit is surprising for its 296 «horses» of power and 380 Nm of torque. Despite the low-end torque, using a 6-stpenchatoy dual clutch transmission and Quattro all-wheel drive system, the first coupe reaches 100 km / h in 4.7 seconds. This is a record figure in the history of the TT models. The rear multi-link suspension and front MacPherson strut prepared additives, magnetic dampers, which provide greater comfort car. Audi TTS 2016 — a car with uncompromising temper and economical heart. For consumption in the urban cycle does not exceed 10 liters per hundred. 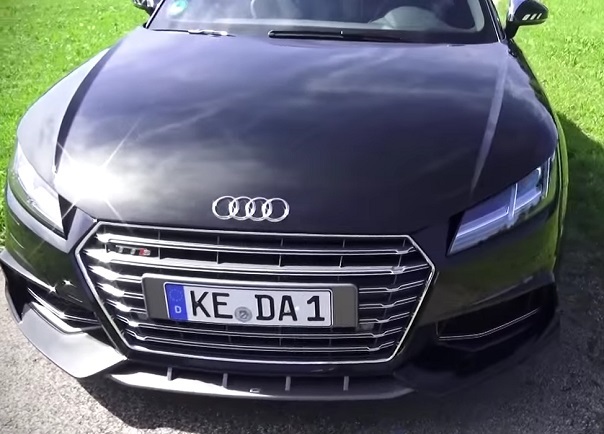 In Russia, the Audi TTS will be sold at a price of 3.135 million rubles.